Download Youth Ministry (DYM) is an educational website that provides a variety of resources - including games, activities, and educational content - for churches and pastors to use in their youth ministry services. When they approached EYEMAGINE, DYM was having trouble providing material that effectively engaged teenagers during services. In other words, they had an entire persona and section of the market that they could not reach with their current content and marketing efforts. 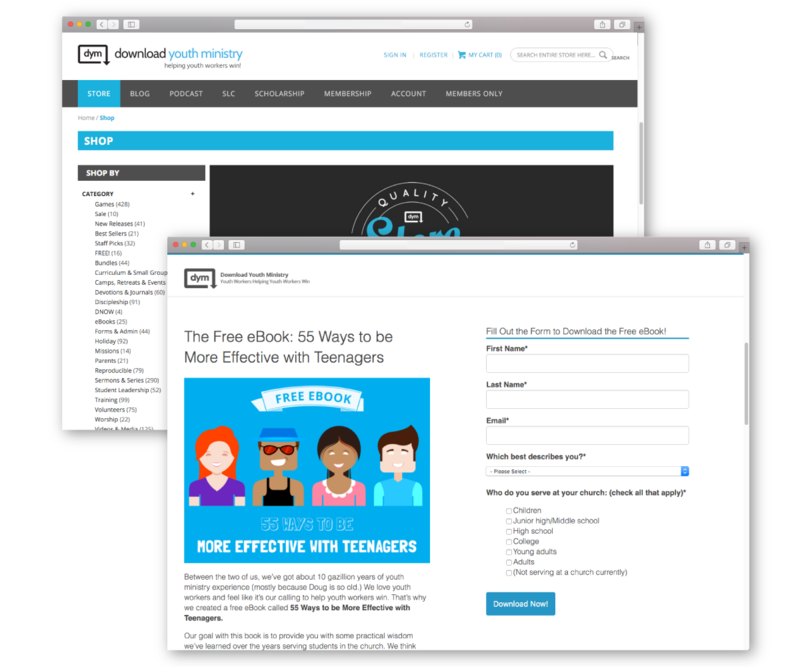 To solve this problem and generate new leads and contacts for DYM, the EYEMAGINE team developed an eBook titled "55 Ways To Be More Effective With Teenagers." By directly addressing the problem of teen engagement and demonstrating DYM’s knowledge on the topic, this piece of gated content worked to establish DYM as an authority on teen engagement. This in turn increased traffic and engagement on their site, strengthening the company’s online presence in a big way. Once DYM provided the main content for this eBook, the EYEMAGINE team analyzed their buyer personas and brand voice, coming up with an effective topic angle, format, and length for the book. Then, after a series of collaborations and revisions with DYM, we sent the content over to our design experts, who put together the finished product. The 48-page eBook has been downloaded almost 2,000 times with a submission rate of 60.93% and a new contacts rate of 16.56%. This eBook generated a total of 540 new leads for DYM, and this number continues to grow every month. The best part? Since it is evergreen content, it can continue to be used - on the DYM site, through email, and on their social media channels - to generate new traffic and interest for the company. I can't say enough good things about EYEMAGINE and their team. Every time we need help, we get prompt attention and high-value results. EYEMAGINE's work has helped our growing business by providing a reliable and innovative online presence. We look forward to a bright and successful future knowing we have a long-term partner in EYEMAGINE. The overall point in creating this eBook was to generate a piece of engaging and educational inbound marketing content that further established DYM’s brand voice and expertise on youth ministry topics. Most of DYM’s site visitors know what they are looking for and have come to the site with the specific purpose of finding youth ministry material. 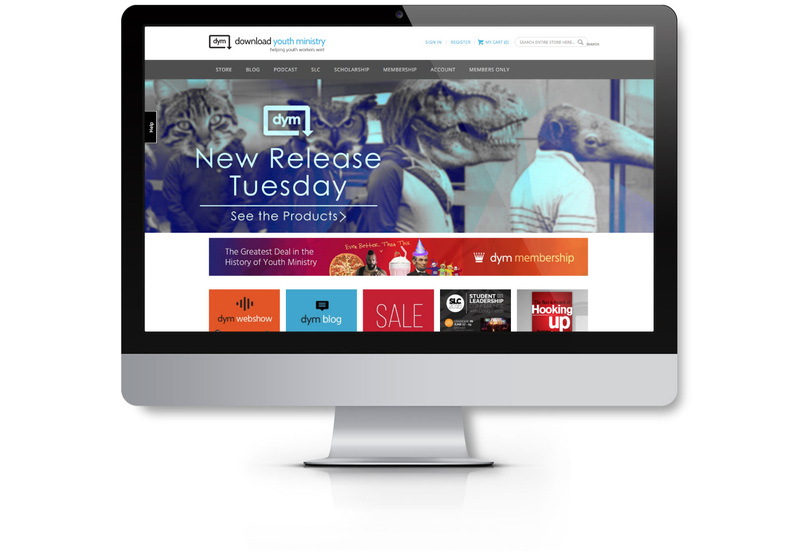 The eBook’s goal then was to provide them with content that showed that DYM not only had exactly what they were looking for but also knew more than any other website. These design decisions helped the eBook accomplish just that, effectively targeting DYM’s target persona and increasing their leads and traffic to their site.